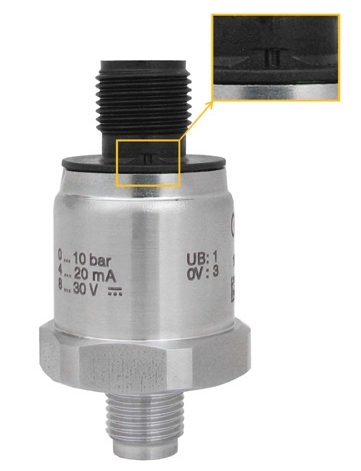 In so-called “gauge sensors” pressure is always measured relative to the currently prevailing ambient pressure. However, the ambient pressure is by no means constant. It is location- and height-dependent and changes with the weather. This means that for a “gauge” pressure sensor to operate, the (changing) ambient pressure must also be available inside the instrument. This means that the ambient pressure must be allowed to enter the instrument, i.e., the instrument must be “vented”. If an instrument of this type were to remain unvented, the change in weather and location, relative to the calibration performed by the manufacturer, an additional error up to several per cent would be introduced. This effect becomes of course less and less important with increasing pressure range of the sensor, compared with the actual change in ambient pressure. By the way: in unvented instruments, the temperature influence adds another effect. Expansion of the air enclosed in the instrument as a result of a change in temperature causes a preliminary pressure, which also appears as an additional measuring error. Conclusion: Pressure sensors used for measuring gauge pressure must be “vented”. Typically, this is done via a controlled opening, a so-called vent hole. This vent hole must, of course, be carefully protected from the entry of dirt, dust and moisture. This can be supported by design measures (location, membranes, labyrinths, etc.) or must be ensured by the user on site by carefully controlling the mounting situation.